Facebook platform always experiment the new features that are beneficial for its users and the marketers, publishers across the Facebook platform. The new in-stream video ad feature is the new buzz bout Facebook platform today. Facebook In-Stream Video Ads helps the users, marketers, and publishers to reach a vast audience using the in-stream video ads on the Facebook platform. The in-stream video ads offer an excellent opportunity for the advertisers to reach a huge audience across the Facebook platform for their business promotion. The advertisers are allowed to deliver the five to fifteen seconds mid-roll video ads within the live video sessions as well as the non-live video sessions on Facebook platform. The in-stream targeting will be based on the audience and the viewers of the same video content, and you will get different video ads basing on the audience interests. These ads can be available separately to the ads manager and the Facebook, power editor. They are available for the video views and utilized for the brand awareness and the engagement of the brands by using in the news feed combination. Advertisers can make their choice for in-stream video ads for their new as well as for their current video campaigns in which you can evaluate the performance of the video ads individually. The targeting options also support the in-stream video ads and the advertisers can utilize them basing on the brand safety controls or regulations to avoid the delivery within the similar categories. If you are running video ads on Facebook, you can add the in-stream video ads to your Facebook campaigns. By utilising the placements or by checking the in-stream box for the ad interface as well as using the API of ads. If you are planning to create the new ads, you can go for the automatic placements of ad units, and you are allowed to edit the deployment units and select the in-stream video in ad manager as well as in the power editor. The video ad placements must be between five to fifteen seconds along with the sound included in it. Facebook audience network is the new way to extend the ad campaigns by the advertisers beyond the platform in their mobile apps. The Facebook ads work well as they are more relevant and personalise and very easy to measure the metrics on both mobile as well as on the desktop. The audience network has many powerful features that are helpful for the advertisers to reach huge audience base. The audience network ensures the best app based experience by providing the marketers with good targeting options that are available for the Facebook ads which can include with the custom audience, core audience and measurement tools that are useful for the Facebook ads. It helps the marketers to reach their potential audience with the single click. Marketers usually run the newsfeed ads on Facebook by utilising the audience network. The audience network is available for the ad interfaces as well as for the API. The Facebook system will handle the optimisation and the delivery of ads once the campaign runs in the audience network. The advertisements in the audience network allow greater feasibility of driving better results for your business marketing and helps in reaching the primary objectives of the marketing goals. For suppose the marketers can drive sound installations and app downloads and can boost their engagement levels across the Facebook platform. It also helps the marketers to deliver the best ads in the audience networks with three different ad formats namely Banner, native and interstitial ads. The native format ads fit well in the app supporting ads, and the tests have revealed an excellent performance of these ads. and it doesn’t need to focus on specific formats and no need for uploading the original ads in the audience network using the same images in the ads. The Facebook SDK works with the mobile measuring partner where marketers can measure the app engagement, conversion rates, and the demographics related information. The Facebook campaign and audience network campaigns can go individual and results can be shown in a comprehensive way. We can expect the audience network can drive the best app installations and the app engagement and Facebook are including the additional marketing objectives for the future improvements. So, we can expect more ad types in this audience network system. 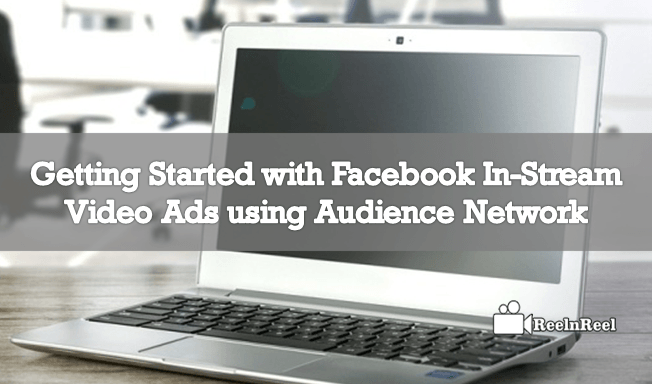 Facebook audience network ads are the new way for monetization and promotion. By adding the Facebook audience network banners in your App is very simple like you do on other ad networks. The Facebook Audience Network allows you to monetise the iOS and Android apps by using the ad targeting. Here is the step by step guide for Facebook video monetisation using the Facebook audience network. The main things you need to do before going with the ads on Facebook audience network is to log in to your Facebook account must not be duplicate one or a fake one to start with the audience network ads and monetisation. You must also need a good knowledge of appropriate programming languages for the mobile websites. Set up your app on the Facebook platform by clicking on the ‘configure Facebook App’ button. It helps you to create the app-enabled with the audience network and you can also enable the same in your existing Facebook app. It takes you to audience network sections where you can find the app dashboard to continue the configuration process. You can configure the ad placements using the unique placement ID where you can create and configure the ad placement. You can also create the many new arrangements with various ad units. Integrate with the audience network SDK in your app or mobile website and start showing your ads. You can go through the implementation guide on the Facebook help page for implementing on Android, iOS and mobile web. Your app will be on live Google play store and iOS app store after the integration testing and you can submit your request for reconsideration, and once it was approved, you can start showing the ads in real time. To start making enough revenue from the audience network, you need to fill the bank information in the payout tab displayed. If this is not your first app, then you need to select the list of the companies you are acting as an admin. Once Facebook received the information, your app will reach $100 of ad revenue and become eligible to receive the payment. Finally, you can generate real income from the Facebook In-Stream Video Ads from the Facebook audience network. What is Snackable Video Content?